After more than two years Indian government has decided to resume the cricket matched with Pakistan. Seeing the amount of interest shown by the public on the both sides and considering it as a goodwill gesture once again for improvement in relations with Pakistan. India had put hold on all forms of cricket with Pakistan when they found the involvement of Pakistan in 26/11/2008 Mumbai Attack. 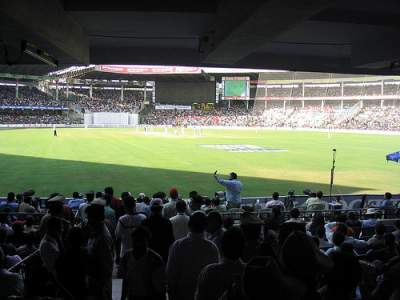 Also worrying over the security of players in Pakistan, after the case of Sri Lankan players being fired and bombed in Pakistan just after the match, India had shown its disinterest in coming to Pakistan for a tour. Interestingly, this goodwill gesture to Pakistan has come just after the disclosure of Tahawwur Hussain Rana in US courts that he was acting at the instance of Pakistani government, state officials and Intelligence Service, ISI. Tahawwur Hussain Rana is a Pakistani expatriate who along with David Coleman Headley, a Pakistani American, prepared, planned, and managed the mass killing at Mumbai in November 2008, which according to them was a holy religious act. After this Announcement people from both the side are willing to experience the spark and the ignite and the adrenaline rush once again as they used to feel earlier. Times of India reports that even after the declaration there is no hope of any game between India and Pakistan before March 2012 because of busy schedule of the Indian team. India’s Coming Up series and tournament in the year 2011. Indian Premier League, till May 28.